This is perhaps one of the biggest and most welcoming news for the entire blogging community. Gone are the days where you have to search for high quality images which you are allowed to use on your blogs, store them on your images folder or some cloud service and link it back to your blog page. Getty Images: One of the biggest database of high quality images has opened up its image repository to be used for free in any of your blogs any number of times for non commercial purposes. That means you can use them but not sell them. It is very similar to the embed code on youtube videos which allows you to embed any video on your blog. 90% of the blogging community always struggles with good quality images which make their article look not very professional. Getty Images took this decision so that it gets its share of popularity on the internet and it also attracts genuine buyers when the accidentally/intentionally visit your blog. With this new approach millions of Getty images are available to be used for free and you don't even have to worry about hosting these images on any server. 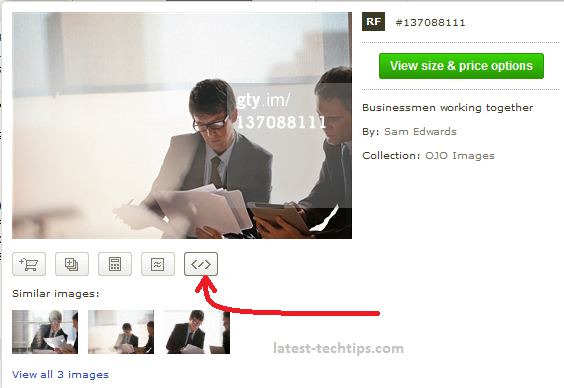 The embed code will simply point to the gettyimages server. Here is what you need to do simple visit gettyimages.com > search your image > in the preview popup click on the embed button > you will be presented with the embed code. Here is how the embedded image looks like. This way the image owner and Getty images automatically get the credit for their work and service. Getty Images should have done this years back, but better late than never.